Adding a ground bar to a 480 volt main distribution feeder panel. Thread: Adding a ground bar to a 480 volt main distribution feeder panel. Easiest thing is to get one from Siemens and it will come with the correct screws to go right into the existing holes. If I have to retrofit one, I will drill and tap 8-32 threads into the cabinet. 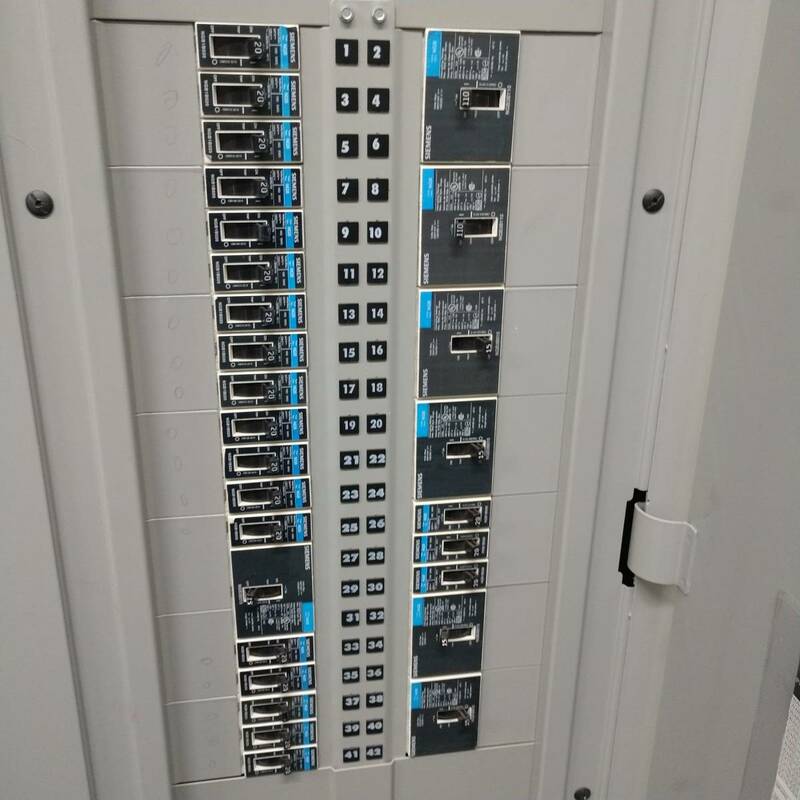 We buy those Siemens panelboards all the time. Like Electro said, go to your siemens rep and ask for a ground bar or two for a panelboard, not a loadcenter. It'll be the type that comes wrapped in white paper, not in a clear plastic bag. I think OP might have concern over the current carrying ability of the bar being installed. My thought is if you put in a bar that only accepts 4 AWG maximum conductors in any port, it will have enough cross sectional area that it will carry anything a 4 AWG conductor can bring to it and the fact it is installed at a 600 amp panelboard means very little. If you need to terminate a larger conductor you will be getting a bar with larger ports - but to accommodate those that bar will physically be larger and will be able to handle any current the larger conductor can deliver to it. Even the bars that only have holes for #4 you can get those add on lugs that usually go up to 2/0 I think (thinking of square d stuff). I guess we are to assume that whatever fits is ok IIRC those siemens panelboard ground bars have many larger than #4 holes. I think OP might have concern over the current carrying ability of the bar being installed. Yep, I totally missed what he was asking. I read what I thought he said, rather than what he actually said. IIRC those siemens panelboard ground bars have many larger than #4 holes. You're right, there are several holes rated for 1/0 mixed in with the smaller ones. Cross sectional area of said ground bar isn't as critical as it is for a wire conductor, especially an insulated wire conductor that normally carries current. EGC may carry thousands of amps during a ground fault, but only has to do so for long enough time to clear the OCPD, and can take more temp rise than the insulation on a wire conductor on top of that, but at same time is short in length so you don't have the resistance you might have over many feet of a wire conductor either.